Modern, dynamic hardness tester with touch-screen display with impact-resistant ABS plastic case, infrared printer and large memory for metallic materials with hardness scales such as Vickers, Rockwell, Brinell, Leeb, Shore and tensile strength. The dynamic hardness tester/hardness tester PCE-2900 compares the emitted power of the stroke unit at the impactor with the rebound force of impact, the test piece based on this difference, the calculated hardness gauge/hardness tester, the hardness of the test piece. In other words hard specimen have a large rebound strength while softer specimen absorb more energy and thus have a smaller rebound effect. The force expects the rebound hardness tester/hardness tester in HL (Leeb) and stores it in internal memory. The hardness tester/hardness tester PCE-2900 has an internal memory for 800 measurements which you can easily send via infrared interface to the included printer. The dynamic hardness gauge/hardness tester can determine with the handset stored conversion table the different hardness scales such as HRC, HRB (Rockwell hardness test), HV (Vickers hardness test), HB (Brinell hardness test), HS (Shore hardness) and MPa (tensile strength). 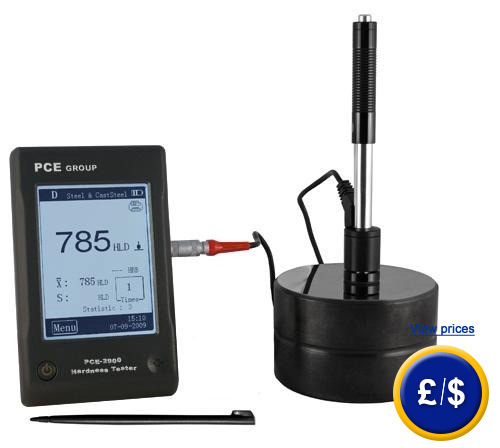 The hardness tester PCE-2900 has a light, bright, large LCD touch-screen display (240 x 320 pix.) 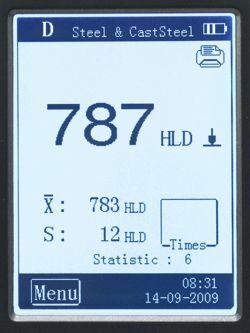 which facilitates the readout of the measurement values in difficult and confined areas. The hardness gauge/hardness tester is designed for hardness tests in all situations, they may even carry out measurements on the head. The hardness tester can even measure on curved surfaces with a radius up to 30 mm. The measurement accuracy of ± 6 HLD of the hardness tester will be respected of course. 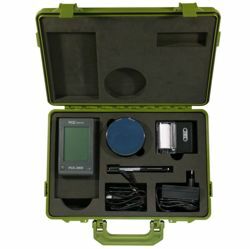 The dynamic hardness tester is equipped with a lithium-ion battery and guarantees you a continuous working time of 30 hours while the sleep timer extended when not using your battery life. If you are looking for a hardness tester without an interface and memory for the measurement of metallic materials, please click here. 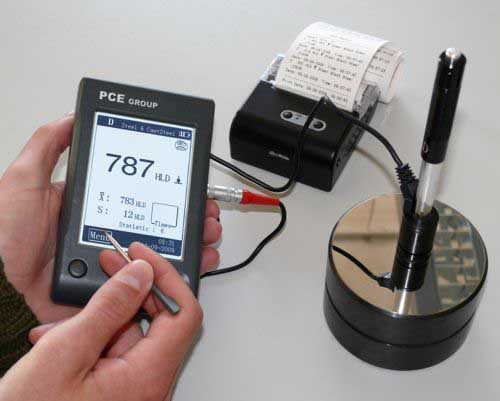 View or print user manual of the PCE-2900 hardness meter. Here you see the user interface during the measurement where X is the mean of 6 measurements and the S value is the difference between the min. and max. value. Here is an excerpt from the internal memory of the performed measurement. 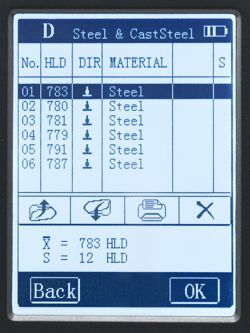 It stores up to 800 measurements and has the ability to display different degrees of hardness. center value and the difference between min. and max. value. data transmission to the printer via cable or infrared transmission interface possible. 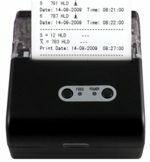 printer with infrared interface for wireless transmission of print data. Data transfer via the included transfer cable. 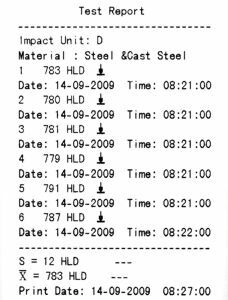 Certification according to DIN ISO with the test certificate includes a laboratory calibration with all measurement values. You request for the certificate while ordering the hardness testers or during an annual recalibration.